A litany of scientific studies demonstrates that lethal methods are ineffective at controlling coyotes because they disrupt the animals’ social ecology and ultimately fail to reduce predation losses.... The basic issue is that Wildlife Services ignores coyote social ecology. In June, four environmental groups prevailed in a lawsuit against the euphemistically named federal killing agency known as Wildlife Services. The U.S. District Court for Idaho ruled that Wildlife Services had not adequately studied the impacts on wildlife of its predator-killing activities in the state. The court is formulating a remedy. The plaintiffs asserted that Wildlife Services’ lethal control of coyotes and other predators at the behest of the livestock industry (and sometimes hunters) is based upon political expediency, not sound science. A litany of scientific studies demonstrates that lethal methods are ineffective at controlling coyotes because they disrupt the animals’ social ecology and ultimately fail to reduce predation losses. Wildlife Services is a secretive taxpayer-supported federal agency whose prime purpose is to kill wildlife. It uses a host of cruel methods to kill coyotes, including trapping, poison, hunting, aerial gunning and snares, all based on the flawed assumption that such procedures will reduce coyote predation on livestock, as well as huntable species like deer. Ironically, such control measures increase the likelihood of predation. In a sense, Wildlife Services control begets more coyotes and more predation, thus creating a circular feedback mechanism that creates political support for continued agency funding. In other words, Wildlife Services does not want to see coyote predation reduced since the more predation it can create by its activities, the more funding support it receives. The basic issue is that Wildlife Services ignores coyote social ecology. A breeding pair of coyotes will stake out and defend a territory. If unmolested, a breeding pair will have pups and form a pack of up to 10 individuals. Each pack has a dominant breeding pair. Other adults are behaviorally “sterile” and do not breed. This has implications for coyote control, because in areas with heavy coyote mortality, these typically “sterile” females are released and can breed. In addition to pack members, there are always random individuals known as floaters, which usually do not maintain a territory but are available to breed if the dominant breeders are killed. These floaters form a reservoir of replacement breeders should a breeding coyote be killed. In addition to these behavioral controls on breeding, in unexploited coyote populations that are near the saturation point in terms of food availability, many pups die of starvation and never reach maturity. In exploited populations, a greater number of pups will survive into adulthood, often negating any losses from Wildlife Services’ control efforts. 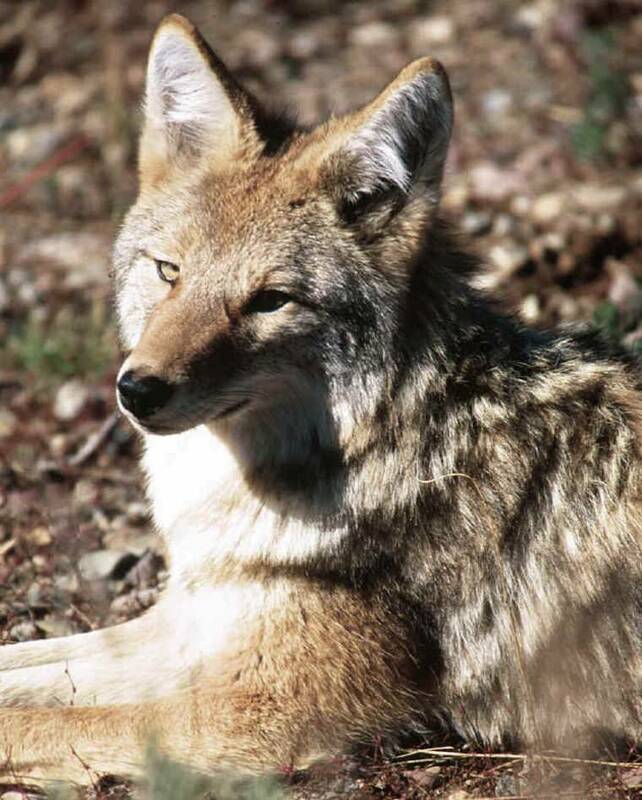 A further limit on coyote livestock predation is due to learned behavior. Coyotes, like most predators, are reluctant to sample “new” food. If they are not preying upon livestock, they are unlikely to begin. However, in exploited populations, young orphaned coyotes must fend for themselves and in desperation will prey upon livestock and become livestock killers. To be successful at reducing coyote populations, a minimum of 70 percent of the population must be killed on a sustained basis. That is almost never achieved, and a vacant territory is quickly filled by floating individuals, or by a nearby pack. Furthermore, due to extreme competition for food and territories, there are compensatory mechanisms that quickly repopulate any vacant space. First, more females breed. Second, due to reduced competition for food, a greater percentage of pups survive and mature into adults. Finally, in exploited populations, female coyotes breed at a younger age. All those mechanisms ensure that coyote numbers seldom decline for any significant period. Livestock grazing can also lead to more coyote predation by reducing cover for the preferred prey of mice and voles, which results in lower small-mammal populations. Exploited coyote populations also have fewer adults in a pack to feed pups, thus are more likely to attack the easier prey available—which often is domestic animals. In the end, the only alternative that is effective is nonlethal measures such as guard animals, corralling livestock at night and herding. Indeed, in some California counties, tax dollars that previously went to Wildlife Services were used for nonlethal methods, resulting in lower predation losses and lower costs. It’s time to put the Wildlife Services killing machine out of business, and to put more responsibility upon ranchers to manage their animals in a way that reduces predator opportunity.